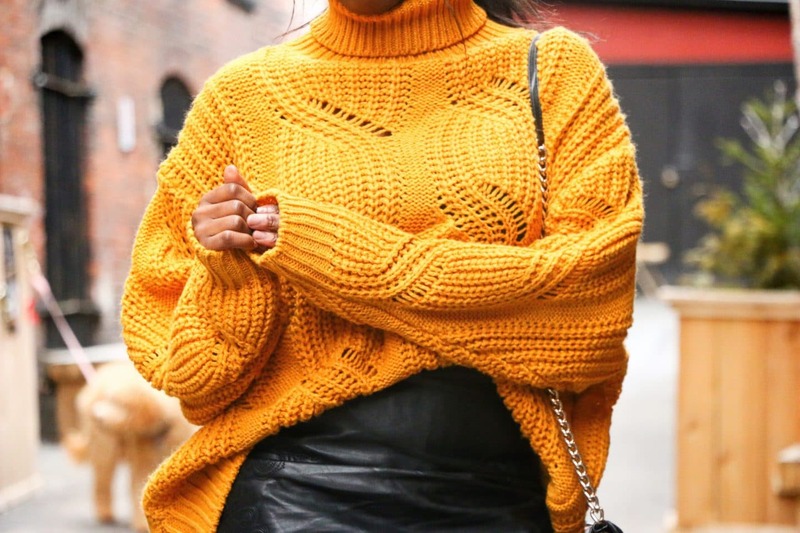 MUSTARD SWEATER – BRIGHTER DAYS ARE NEAR! Happy New month! 2018 is moving so fast but I’m not complaining because winter is moving right along with it, and we are finally getting a little sneak peak of Spring! (fingers crossed). 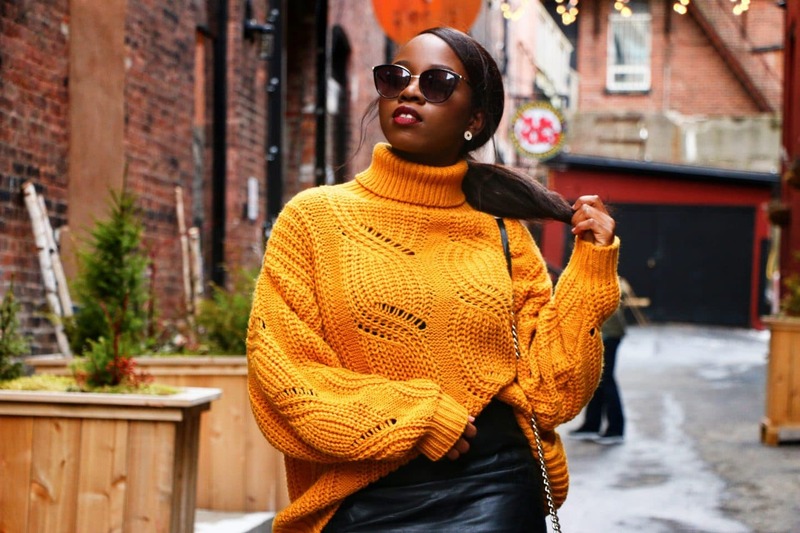 I was inspired by this mustard coloured sweater which is a beautiful juxtaposition – the colour says spring but the style says winter. We are gradually getting to the point where the weather becomes a confusing mess; when your mind says ‘no layers needed’ but as it gets dark, the weather reminds you to stay warm. 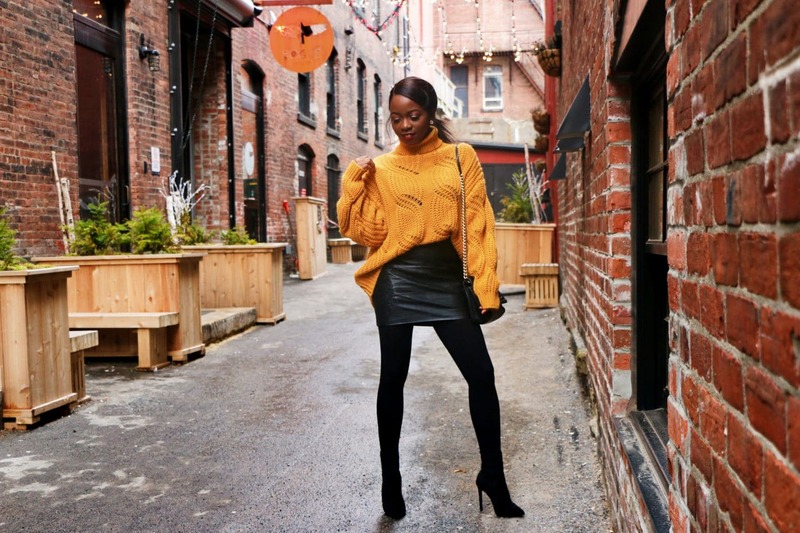 Hence, in the next couple of weeks, I will have a post up with great tips for building a transitional wardrobe that will make you a pro at keeping up with the weather and seasonal changes. Can you tell that I was absolutely feeling myself in this shoot? Okay, let’s get to the break down this outfit. 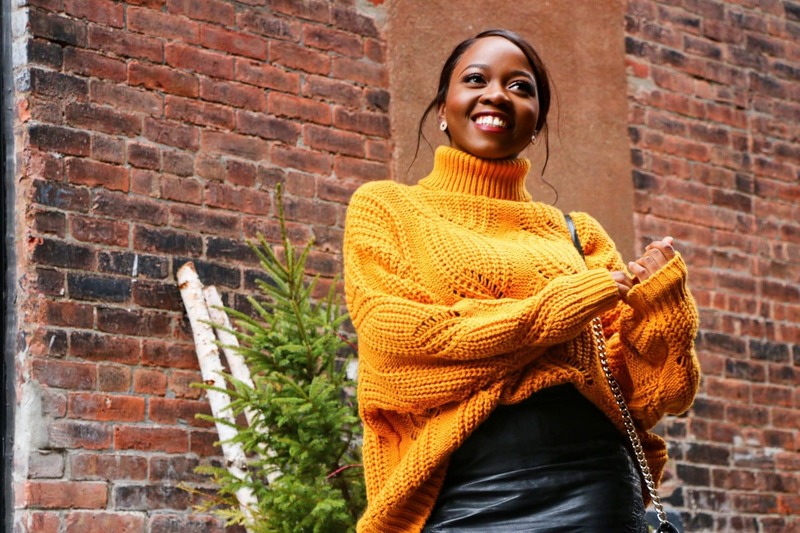 The beautiful sweater is from H&M. 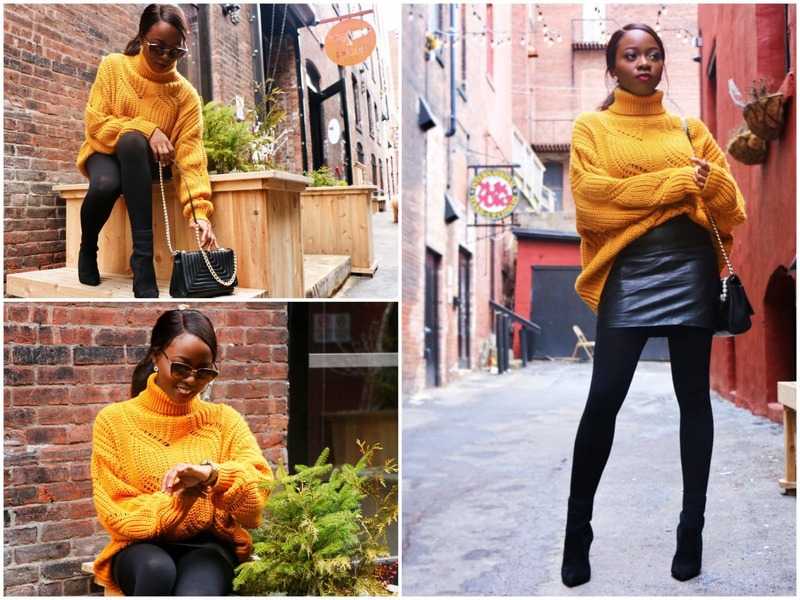 The vibrant colour made it a brilliant match for a leather mini skirt (also past season H&M). Did you notice the embroidery detail on the sides of the skirt? (perfection!). Now it was still very chilly so some leggings were definitely necessary; and of course my go-to winter footwear of choice; these sock boots I live by! There wasn’t too much going on on the accessories front. Stud earrings were stolen from my sister (don’t tell), chain bag from Zara and sunglasses from Mango. I find Mango is a great place for non-designer sunglasses. The quality is usually top-notch plus they currently have some amazing sales! So there you have it, this outfit is definitely a YAY! It’s an accurate depiction of my current style mood. How about you, what’s your current style saying: ‘colourful in anticipation of spring‘ or ‘keeping is mellow cuz winter is still very present‘? Let me know in the comments!